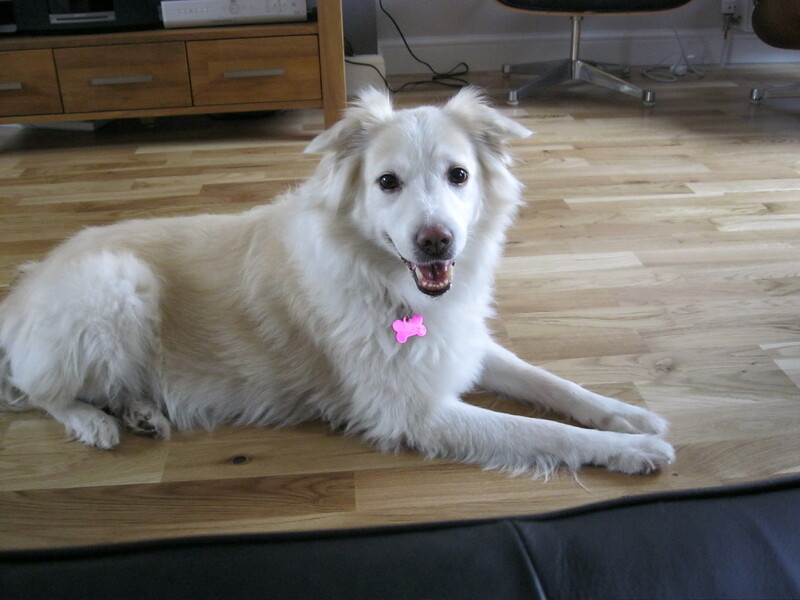 She’s loving her new life in Scotland. 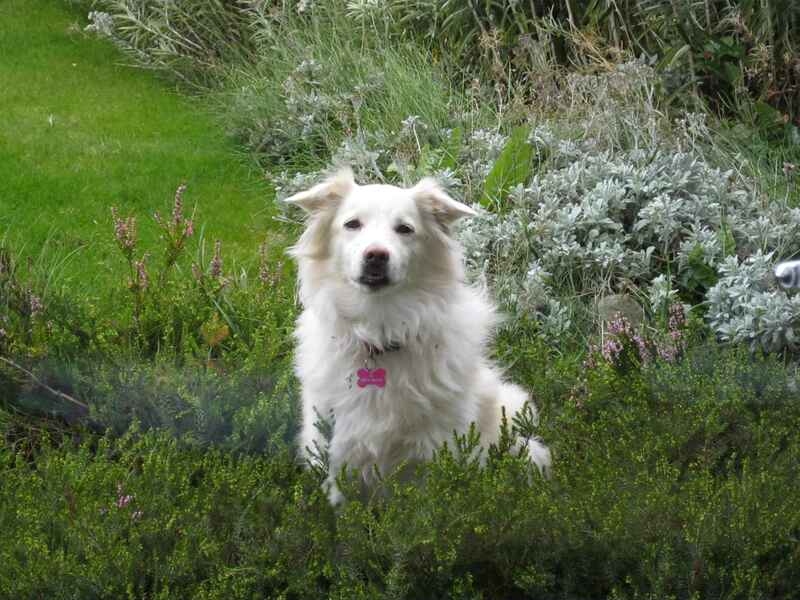 Loves her walks in the countryside and enjoys throwing herself around the heather in my garden. She doesn’t seem to mind the colder temperatures either, not too sure what she’ll make of snow though when it arrives. It’s lovely having her here, she’s currently sleeping at my feet as I type. They do say pets become a part of your family and she is definitely part of ours. I made this soup on a very grey, damp day last week to warm myself and my Dad up. I had all the ingredients in so I thought I’d give it a try and get Dad’s opinion. I’m happy to report he thought it was ‘great’, which is particularly good as he doesn’t like spinach! I think I converted him into liking it…maybe. The harissa is just subtle enough to warm you without being overpowering, if you prefer more heat add another teaspoon. Harissa has such a lovely, aromatic flavour, you can use it soups, pasta sauces, in dips, as a marinade, it really is versatile and a little goes a long way in terms of flavour. In a medium size saucepan, heat the oil over a medium heat and add the onions. Cook the onions for 2-3 minutes then add the garlic. Cook for a further 2 minutes until the onions are translucent. Add the harissa and stir until the onions and garlic are coated. 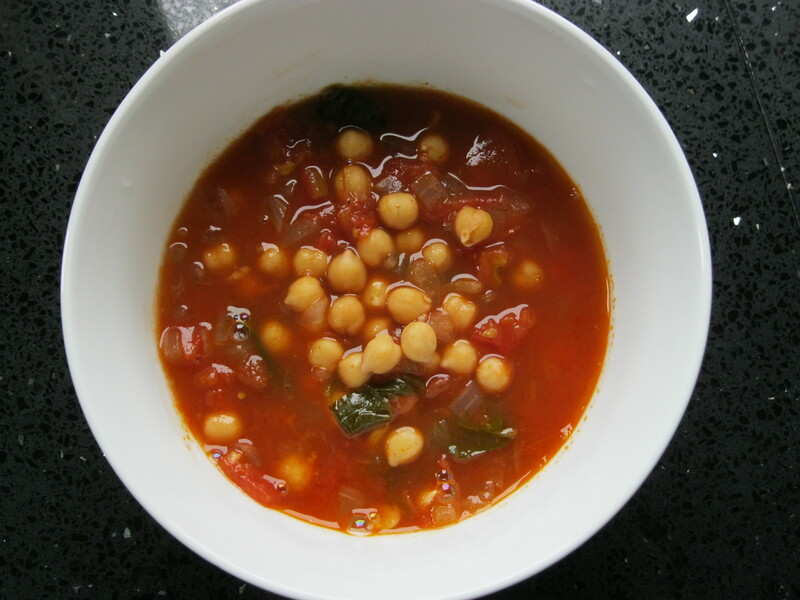 Add the tomatoes, stock and chickpeas. Bring to a boil then turn down to a simmer. Cover and simmer for 10 minutes. Add the lemon juice, zest spinach and continue to cook, with the lid off until the spinach is wilted. You can swirl some yoghurt over the top of the soup just before serving.